Starting screen captures with a keyboard hotkey is of course much easier. Here are the essential shortcuts for the nice screenshot tool ShareX. ShareX keyboard shortcuts can be customized under Hotkey settings, in the left pane. 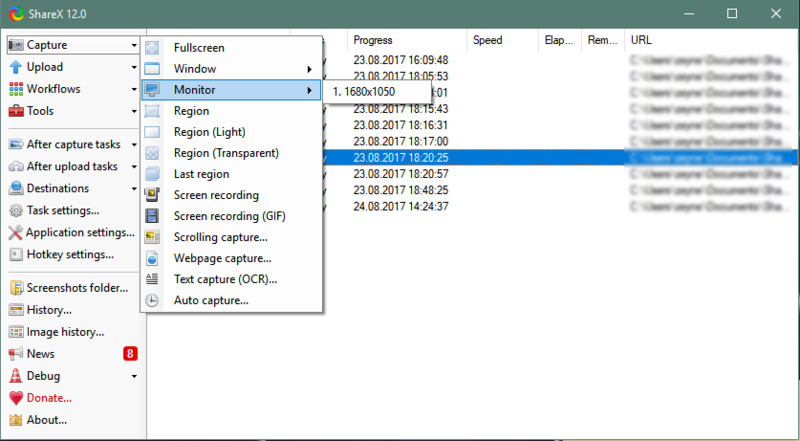 ShareX lets you take screenshots or screen recordings with single key press. Captures can be saved on clipboard, hard disk or they can be uploaded to online hosting services. ShareX is free and open source. What is your favorite ShareX hotkey? Do you have any useful tips for program? Let other users know below.